Product code: 139 Categories: Sold Items, Sold Jewellery. 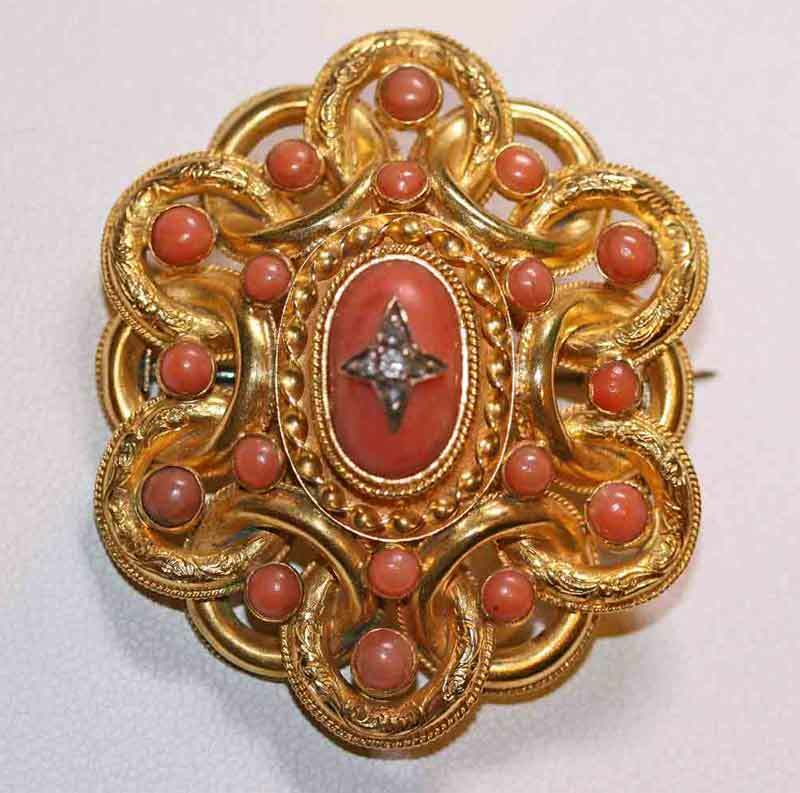 This brooch, is set with natural coral and five centrally set rose cut diamonds. All made in 15ct gold, this is a stunning example of a brooch from the Victorian era. This is one of the nicest brooches that we have seen for quite some time.